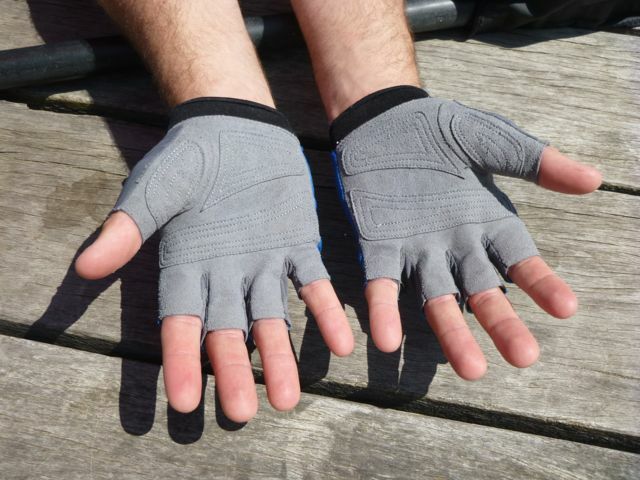 Year round, sun gloves with UPF 50+ rating provide protection against UV damage, with the added bonus of helping to protect your hands not just from rubbing and blistering but also from barnacles and oyster shells - a slip or trip that might otherwise be a trip-ender! We use and recommend Sea to Summit's Eclipse Gloves. They have UPF50+ for extreme protection against sun exposure. The palm area has soft, supple material that helps improve your grip of your paddle and is double layered in high-wear areas, but not so thick that you would be increasing the diameter of your grip (which causes stress on your arms). 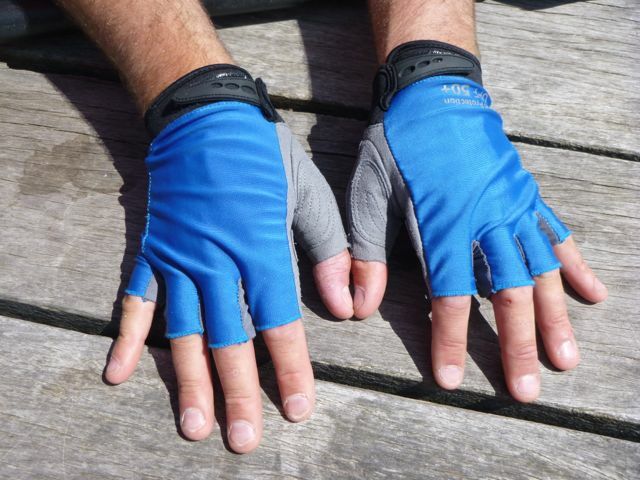 The gloves are fitted at the wrist with 2mm neoprene cuffs which help maintain wrist flexibility.